Not just a walking simulator. Ever since No Man’s Sky was first revealed, back during VGX 2013, everybody has been entirely taken by the game, its scope, its ambition, and its promise. And over the time since, as we have seen more and more of that, we’ve seen all of that being further realized in the new gameplay footage that we have gotten. What we have not yet understood, not properly in any case, is what we do in No Man’s Sky. 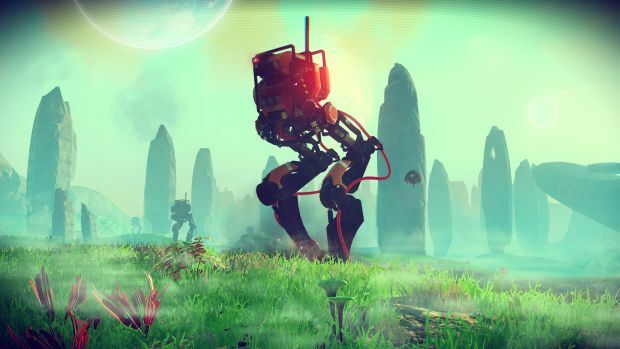 Yes, it has a central aim, and yes, the developers have told us it has a story mode- but mechanically, what does one do in No Man’s Sky? Is it just a lot of walking through pretty, procedurally generated worlds? Or is there actually more to it? The new 18 minutes of gameplay footage that we received for the game today, which you can see below, is our clearest answer to the question yet, assuring us that, yes, there is more to the gameplay of No Man’s Sky than meets the eye. Far more. Personally, I was pumped before, and I am pumped now. I’m looking forward to playing No Man’s Sky when it launches on PC and PS4 later this year.